An ambitious bodybuilder died as a ‘direct cause’ of taking steroids, an inquest heard. Dean Wharmby’s misuse of anabolic steroids caused his death from liver cancer on July 19 this year, coroner Lisa Hashmi ruled. The inquest was told fitness fan Dean, 39, of Brookland Street, from Rochdale’s Buersil area, first developed health problems in 2010, when multiple tumours were found in his liver, the Manchester Evening News reports. The fitness enthusiast, who had been taking steroids for several years, later developed liver cancer with the drugs cited as the ‘direct cause’ of his death by Mrs Hashmi. His partner Charlotte Rigby said that when she first met Dean eight years ago, she had suspicions he had used steroids because of his muscular build, but said when they got together in 2010, he was trying to stop taking the drugs. After Dean, who worked at Fitness First gym in the town’s Sandbrook Park, developed health problems Charlotte said he stopped taking steroids and embraced spiritual healing methods such as reiki and natural medicine. Dean and Charlotte chronicled his battle with cancer on a Facebook page called ‘Dean’s Journey’ which attracted thousands of followers. The inquest heard towards the end of his life he was taking 200 natural remedy tablets a day. 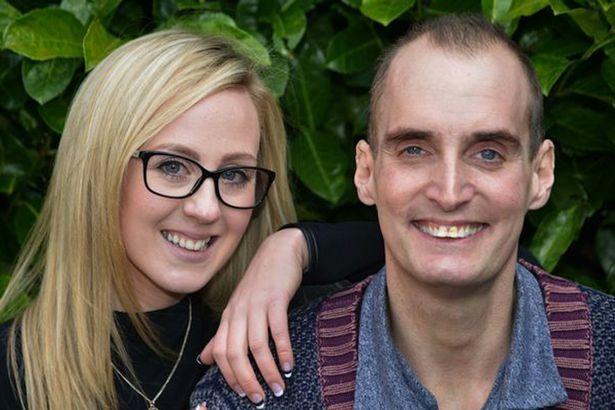 In July he was moved to Springhill Hospice, where he died.The inquest found that two falls he suffered at the hospice had no bearing on his death and Charlotte and Dean’s father, John Wharmby, paid tribute to the ‘excellent care’ he received at Springhill. Mrs Hashmi warned of the risk of taking steroids. Delivering a narrative verdict, she said: “I find on the balance of probabilities that in such a fit, health-conscious young man the most probable cause of his liver tumours was the misuse of anabolic steroids.